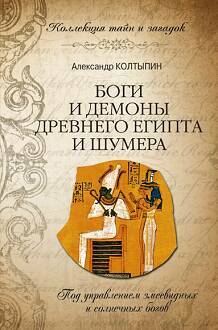 Three Books of the “Book of Lost Knowledge" Series by A.Koltypin. What are They About? Bring to your attention (Present to you) the "Book of Lost Knowledge" series, consisting of three books - "Disappeared inhabitants of the Earth", "Battles of ancient gods" and "Earth before the Flood - the world of sorcerers and werewolves." 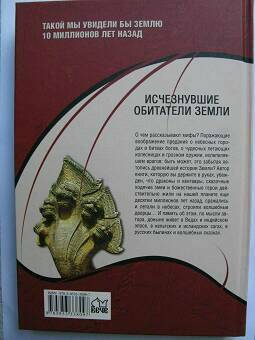 Summary of these books are given in "History of the Earth and mankind from the beginning of the Palaeocene till Crist" section. 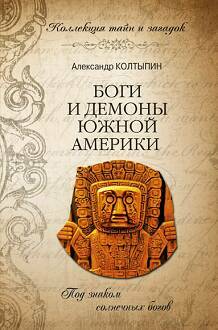 I also recommend you to read my works in the sections "Five world epochs and mankinds (humankinds) of the Maya, Nahua and Aztecs", "Hyperborea=North - the place out of time", "The most important catastrophe in history of the Earth during which mankind appeared. When it happened?" 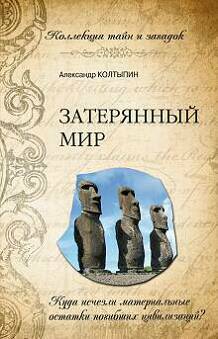 In the first book «Disappeared inhabitants of the Earth», issued in 2009, you will find the captivating narration about reasonable inhabited our planet for many million years before appearance of modern people. You will learn a lot of new and interesting about dragons-people (snakes-people, snakepeople), people-amphibians, multiarm and manyheaded giants, white and black humanoid "gods" and "demons" and manifold (differend) chimeras - about their frightening appearance, gigantic sizes, huge force and venomousness, acute intellect and centuries-old (to be more exact, millions-old) wisdom, phenomenal magic abilities, ability to change their form, sizes and to become invisible. You will also learn that dragons-people were native (indigenous) inhabitants of the Earth dwelling on it from the Mesozoic era, while white and black "gods" and "demons" were space aggressors who arrived on our planet in the end of the Mesozoic (70-65,5 million years ago) and the end of the Oligocene epoch (30-23 million years ago). They married each other (espoused, intermarried) and gave posterity (descendants) of mongrels (half-breeds, metises), built big cities, covered circumterrestrial orbit and cosmic spaciousnesses on flight vehicles and space stations, and duration of their life exceeded 100 thousand years; some of them were immortal. When had they disappeared? Why did life of the people become such short? Whether does exist Islands of the Immortal? When did a man appear? Who were his "parents"? Why had so many races and types of people found their dwellings on Earth? You will find the answers to these and many other questions in the book. 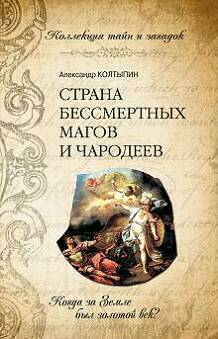 In the second book «Battles of ancient gods», issued in 2011 in the form of four separate books of the "Collection of secrets and mysteries" series, you will find the surprising information about the "Golden Age" which was on the Earth in the Paleogene (65,5-34 million years ago), and about the huge northern continent Hyperborea where immortal white "gods" - far grandparents of the people lived. You will learn that at the Eocene and Oligocene boundary (34 million years ago) and in the end of the Oligocene epoch (approximately 25 million years ago) large groups of space aggressor twice landed on our planet, and all further history of the Earth which lasted 34 million years was the history of ruinous wars of white "gods", white and black "demons", dragons-people and appearing in Neogene multiarm and manyheaded beings. 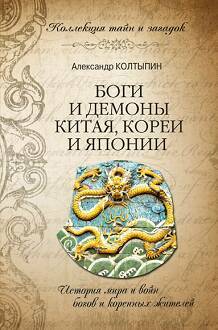 You will familiarize yourself with, it would seem, lost for ever pages of history of the Earth: legends of different people about battles of gods and demons, deluges (floods), repeated destructions of the world by fire and earthquakes find reflection in geologic data. You can look at many events in a new fashion, having learnt that during former wars - they were the reasons of the majority of global catastrophes and glaciations during the last boulder-period (glacier period) - some extra-high-power atomic, laser, geomagnetical, weather(ing) and even magic weapon and also aircrafts and orbiting space crafts was used. You will understand why so few remains of vanished highly-developed civilizations have reached (get to) us and will be the first who familiarize youself with my hypothesis that petroleum and gas are the converted (remaked, reprocessed) remnants of our far grandparents. I hope, you will be surprised to learn that under the ground, water and surface of the Moon, apparently, gods and the demons, inhabiting the Earth during the last 66 million years, live till now. Who are they? What is their appearance? Why don't they live on the Earth and come in contact with us? You will find the answers to these and many other questions in the book. 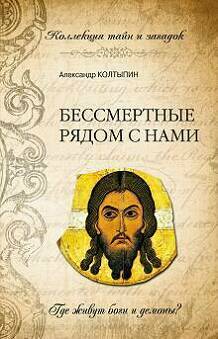 "С большим интересом прочитала Вашу книгу "Битвы древних богов". Чрезвычайно ценным является то, что Вы собрали воедино материал, касающийся глобальных катастрофна Земле, тех катастроф, которые меняли поведение и облик нашей планеты. Так же Вы проделали (первым!) интереснейшую и необходимую для человечества (как ни возвышенно это звучит) работу по сопоставлению информации, которую содержат мифы, легенды и предания, с информацией об этих катастрофах. Думаю, Вы заложили новое направление в науке, которое можно условно назвать "Исследование информационной сферы памяти человечества". Эта наука, требующая срочного и всестороннего развития, может указать на пути выживания человечества в условиях следующей, неизбежной планетной катастрофы, признаки которой проявляются все чаще. 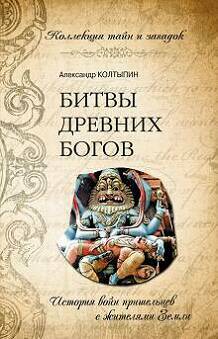 In the third book of the serial «Earth before the Flood - the world of sorcerers and werewolves», issued in 2013 in the form of four separate books of the "Collection of secrets and mysteries" series, you will proceed with your acquaintance with gods and demons having lived on our planet for many million years before appearance of the modern people. 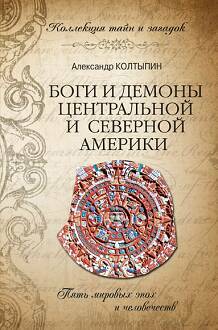 This time you will make the fascinating voyage to different contries and continents: to East China, Korea, Japan, Central America and Mexico, South America, Egypt and Ancient Sumer. You will make the acquaintance with the legends of the people living there and the ancient manuscripts, which reached our time, narrating about life of far grandparents of the people in immensely remote times. You will learn that during the Palaeogene and Neogene periods different kinds of dragons-people had been inhabiting the larger part of Asia, Africa, North and South America, ancestors of which lived in the Mesozoic, and also that in the end of the Eocene (approximately 34 million years ago) large group of dragons-people, leading a semimarine-semiearth lifestyle, landing on the Earth from space. They were one of the main gods of the Oligocene epoch, the Neogene and Quaternary periods and helped to revive (be revived) to former "mankinds" after each great catastrophe destroying the world. You will also learn that having appeared in the Oligocene multiarm and manyheaded giants (Rakshasas, Nirritis et al.) belong to reasonable insects.The veil of mystery over the territorial division of the ancient world, existed political-military alliances, and episodes of penetration of white and black "gods" and "demons" to different continents will be slightly opened for you. Panoramas of major events of the remote past will be opened before your eyes: prosperity of the civilization of multiarm and manyheaded giants in the second half of the Miocene, creation (making) of powerful empires of white-skinned and black-skinned newcomers - Daityas and Danavas in the Miocene, Pliocene and Pleistocene, periods of peaceful and carefree life of "gods" and "people", wars, ruin, hunger and catastrophes completed destructions of the former worlds. You will be the first who knows that there were light and dark hemispheres on Earth in the Early Miocene, and there were largest subterranean settlements on its dark side in which "people" were born and died. What were they? Who and when had Ica stones made? Whom had Nazca desert been pictured and who had North American mounds built? What was the destiny of white bearded gods who have crossed all American continent before Spaniards? You will find the answers to these and many other questions in the book. 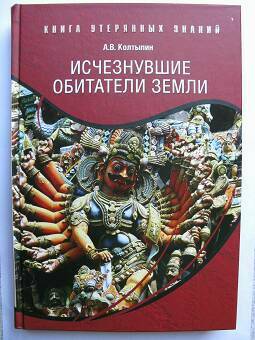 What are novelty of my books of the "Book of Lost Knowledge" series in? Disappeared inhabitants of the Earth. What would tell us population census of Earth ten million years ago about? Earth before the Flood - the world of sorcerers and werewolves. Who did inhabit different continents 20 million years ago?